Facebook has been caught deleting old messages sent by CEO Mark Zuckerberg – a feature unavailable to ordinary users. The social network is now saying it will roll out the “unsend” feature to everyone at some point. But critics have accused the company of “shady” behaviour, and some view the newly announced feature as a way to dampen backlash. 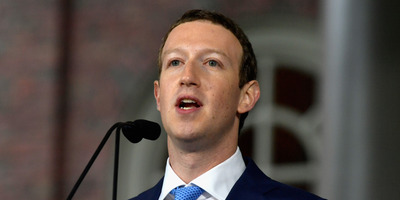 Facebook has found itself at the center of a fresh furor over privacy and accountability after responding to reports that it had been quietly deleting old messages sent by CEO Mark Zuckerberg by saying it would soon make the “unsend” feature available to everyone. On Thursday, TechCrunch reported that some recipients of Zuckerberg’s messages found they had disappeared from their inboxes without their knowledge while their replies remained. The 33-year-old CEO’s messages had been unsent – a feature not available to most people on the social network, aside from some Facebook executives. The revelation immediately sparked uproar. Some accused the company of setting one standard for its executives and another for everyone else, while others questioned whether Zuckerberg had something to hide. The social network said it deleted the messages for security reasons in wake of the 2014 Sony hack. And on Friday, Facebook told TechCrunch that it would roll out the unsend feature to all users in the coming months. But the timing of this announcement has led to further criticism that making the feature widely available does not address what some perceive as a breach of trust by Facebook. FB does something shady, acknowledges it. Facebook already offers one option for users to send one another self-deleting messages via Messenger: secret conversations. The feature allows users, with the full knowledge of the other participants, to set their messages to expire after a set time. Interestingly, it appears Facebook has been selective in “unsending” Zuckerberg’s messages, rather than deleting them all. Will Oremus, a tech writer at Slate, tweeted that he was still able to view a message Zuckerberg sent him in 2004. One he sent me in 2004 is still there, for whatever that's worth.